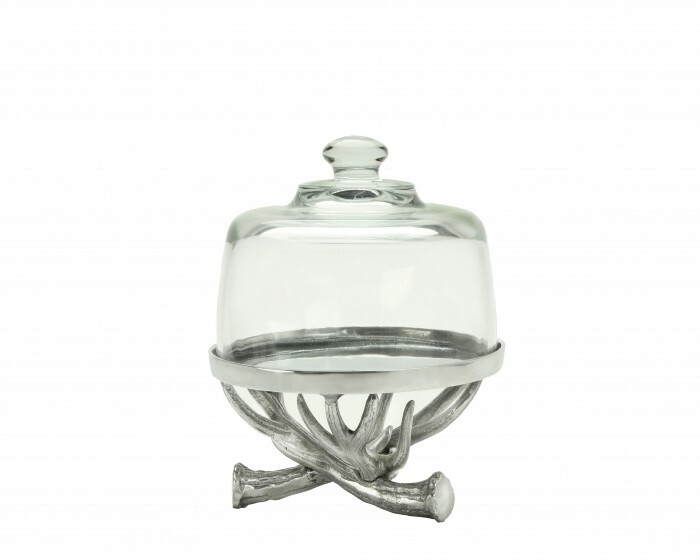 House a classic dessert or special treat in the rustic elegance of Arthur Court's Antler Plate with Glass Dome. 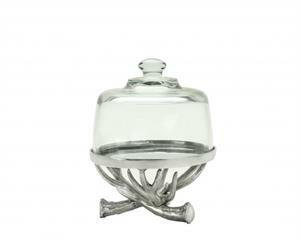 Multiple antlers weave around each other before propelling the dome up for a fairytale finish on their sturdy points. Handcrafted in sand-cast aluminum, the base's intricate detail displays in a brilliant luster. Size: Diameter: 8.0" / Height: 8.0"